Tempe Bali is a food that is often used for indonesian people in Bali. How to make this delicious food? For you who like spicy food, this recipe can be used as a cooking reference in your kitchen. What kind of materials and how to make it? See iweblogsite's discussion below. Tempeh is made from the best soybeans which have good nutrition for anyone who consume it. 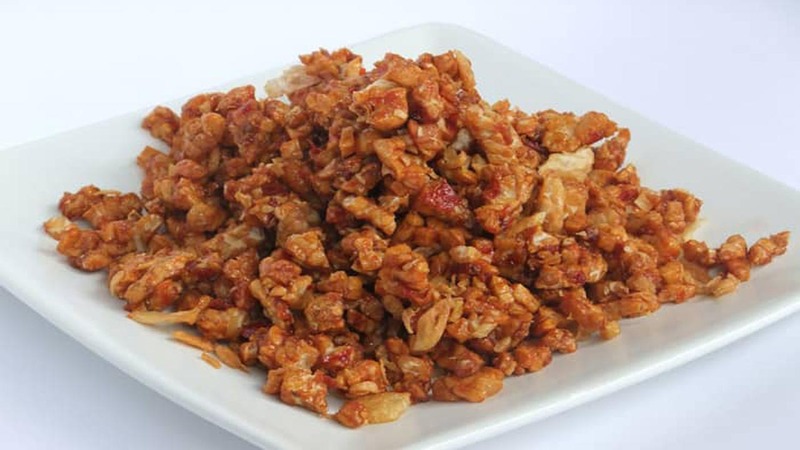 The amount of processed that is defended from tempe can be made anything, such as fried tempe, grilled tempeh, sambal tempe and much more. Tempeh always added with spicy sauce. But if you don't like spicy sauce, you can throw it away. Then pour little water, then put the pieces of tofu and tempeh in. Easy is'nt it? With simple ingredients, You can have a healthy and simple breakfast. If you feel this post usefull for your friends or family, you can share it to others. And then leave your comment below. Thanks for read this article.